I wrote recently that I spent a very enjoyable day travelling through the Surrey Hills, exploring the stunning scenery. However, one thing I didn’t expect to come across was evidence of a world-famous movie logo in a quiet English cemetery. During the post WW2 years when I was a young lad growing up in East Belfast, the main source of entertainment for many people was the local cinema. No television was available then, and with my mother being profoundly deaf, listening to the radio was not an option. Only the written word and movies (‘the pictures’ was the term used) provided satisfactory leisure alternatives for the two of us, while my father was usually away working in England. As it happened, there was a cinema conveniently situated a short distance from our house and rarely a week passed by that we didn’t visit The Castle to see the latest releases. We became very familiar with the film stars and the great Hollywood movie studios; and as we sat in the stalls, watching the opening logo and name of the studio appearing on the screen we would experience a frisson of excitement. 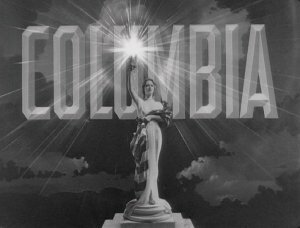 20th Century Fox, MGM, Paramount, Universal, Warner Brothers and others, we knew them all; but there was one studio logo: Columbia Pictures with a woman holding a torch above her head, which captured my mother’s attention every time it appeared. She wanted to know who the beautiful torch lady was, but I had no idea who she might be. Not until I arrived at the Christ Church Coldharbour cemetery in Surrey, many years later. 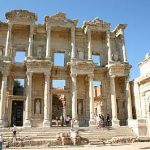 As I walked around the graves studying the old tombstones – a curious habit that others like me have of examining names and dates of people we never knew – I was stunned by a photograph of the torch lady that had been placed over the grave. There was another photograph of a man and woman next to it, along with a lengthy text that described who they were. 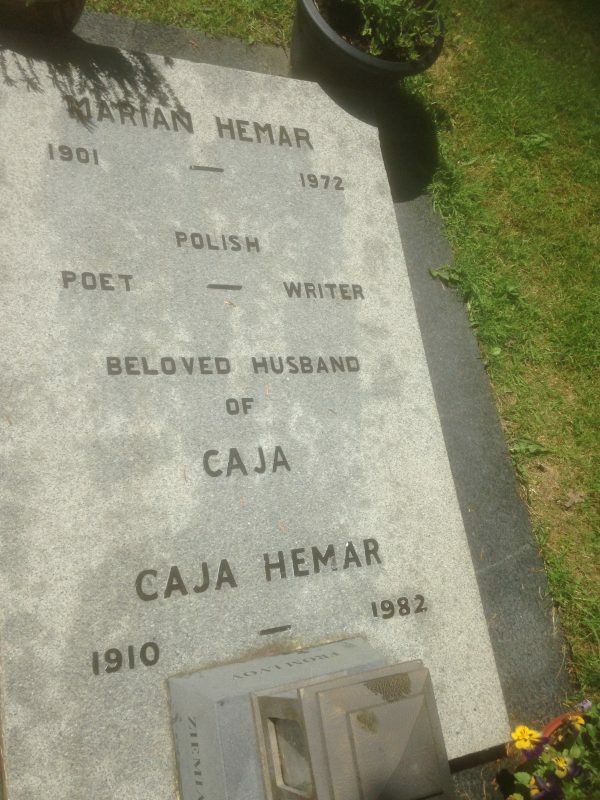 I discovered that Marian and Caja Hemar lay in this grave. 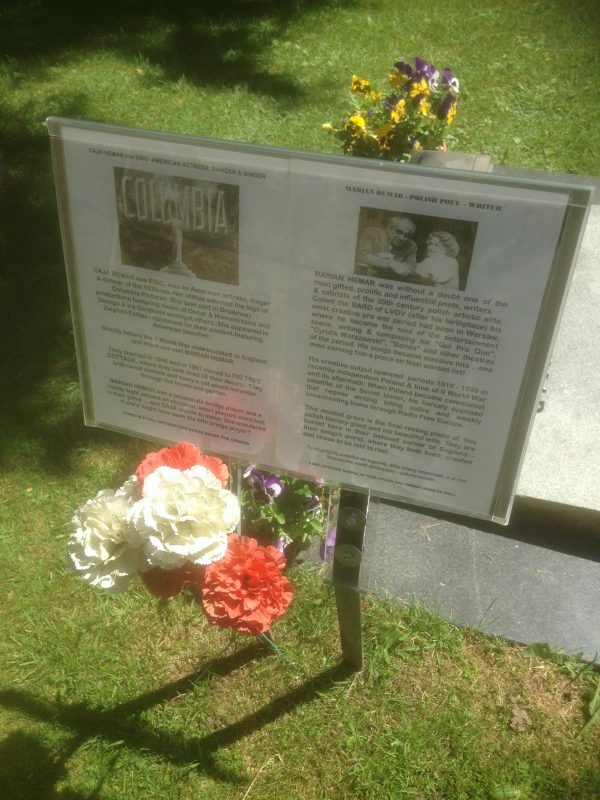 Marian was a famous Polish songwriter and poet in the 1930s, but had fled Poland to escape the WW2 German invasion. He had settled in England and chose to stay there after the war, not wanting to return to his country and live under a communist regime. 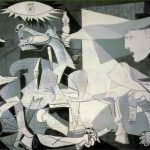 His wife, Caja, was a film actress and probably became best known as one of the actresses chosen to be the lady who held the torch aloft in the Columbia Studio logo. In an unexpected setting, I had finally found the answer to my mother’s question.